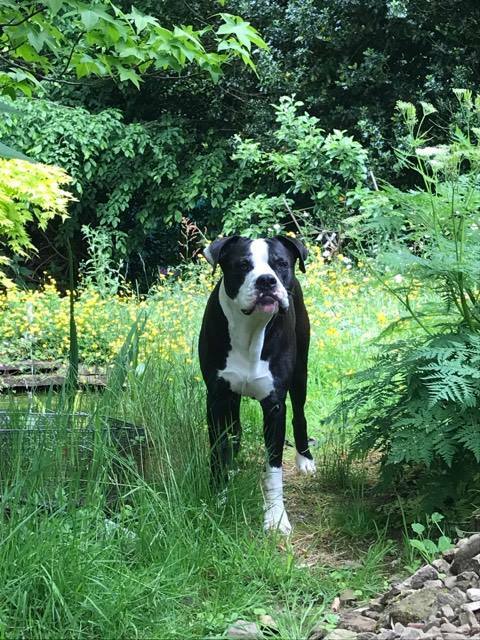 Maisie is a gorgeous big soft American Bulldog possibly cross Great Dane. 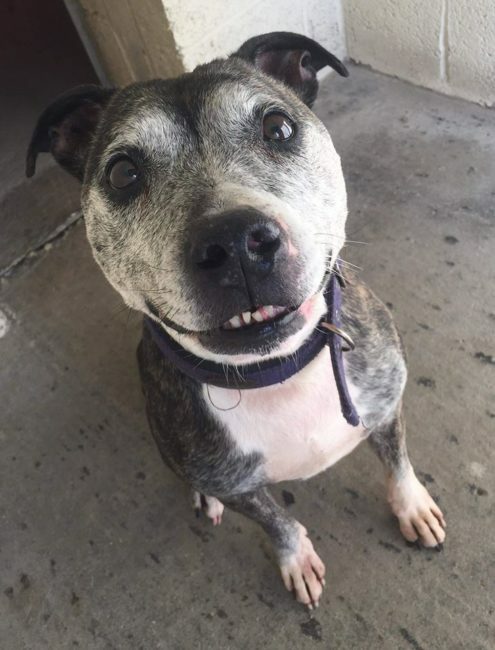 She is a really friendly girl who is great with kids and can be rehomed with children aged 8+. Maisie is great around the house and is fine to be left for a few hours – she just sleeps! 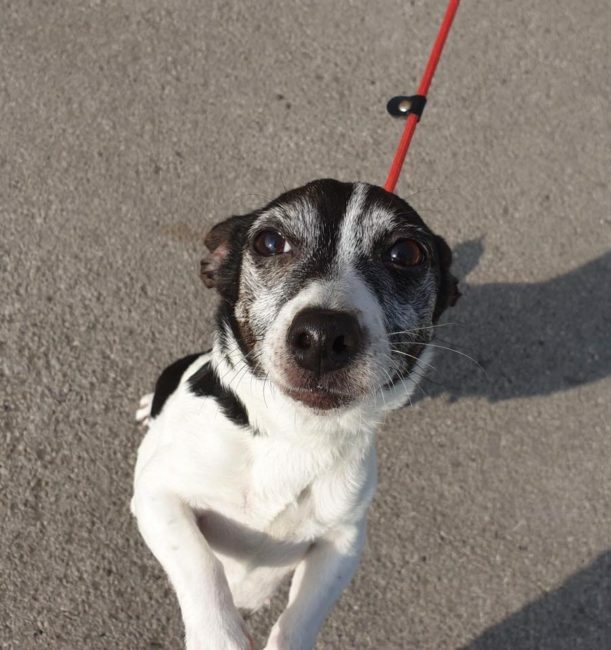 She has lived with dogs and cats previously but does need slow introductions to new animals and would be best living with a larger Male dog or as the only dog. Maisie can be very strong on the lead when she sees something she wants to chase like a squirrel, so needs a home who have experience with large breeds who can handle her on walks, she walks fine on lead when there’s nothing around to distract her! She can be barky at dogs when she’s out on walks, so some further careful socialisation would be great for her. 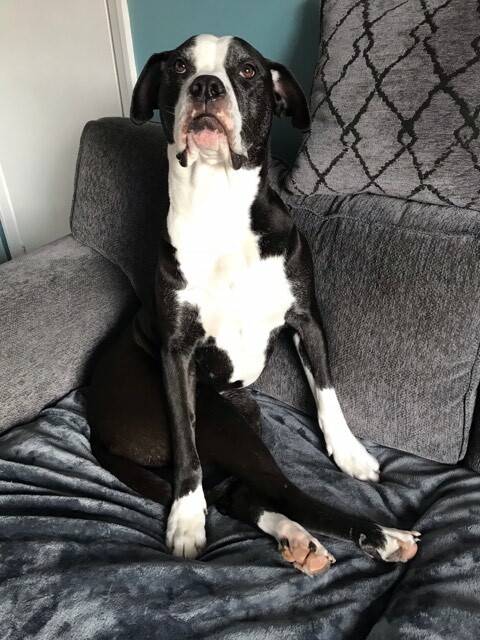 Maisie does need to be on medication for life due to a complication when she was spayed which caused her to become incontinent, the medication is relatively inexpensive and totally cures her incontinence, so she is fully housetrained. Maisie is an absolutely lovely girl who really needs to find a home who know and love large breeds like her. This entry was posted in Female, Good with dogs, Good with kids, Large by Amanda HYPS. Bookmark the permalink.